It was one of the rare occasions that i was in the western part of Singapore. 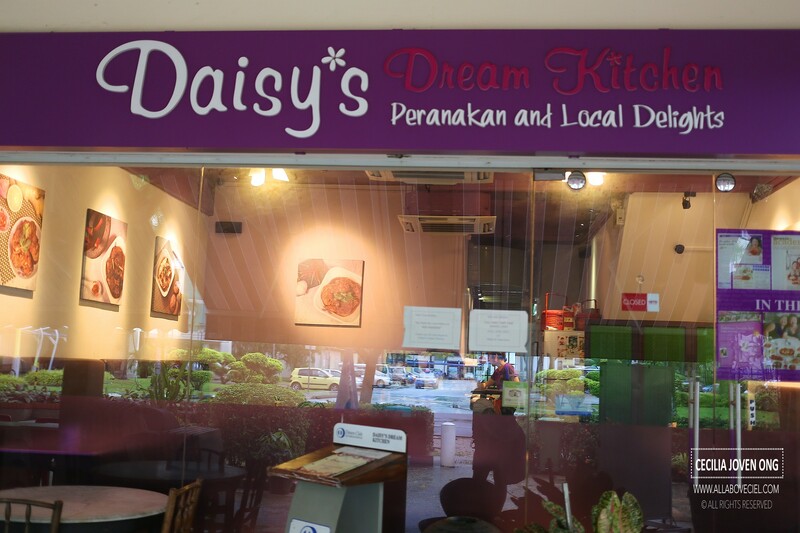 It was raining very heavily at that time and i nearly changed my mind in going over to this Peranakan eatery located at the residential area of West Coast. I was there slightly after 2 pm and there were only 2 other tables occupied at that time. I was presented with the menu rather quickly upon seated down. Daisy, the lady boss, came over to greet us. She asked whether are we here for the first time and do we need her recommendation. She then asked whether do we eat spicy foods and she suggested that we should try their Babi Buah Keluak and Kong Bak when she found out that my lunch partner could not take spiciness. 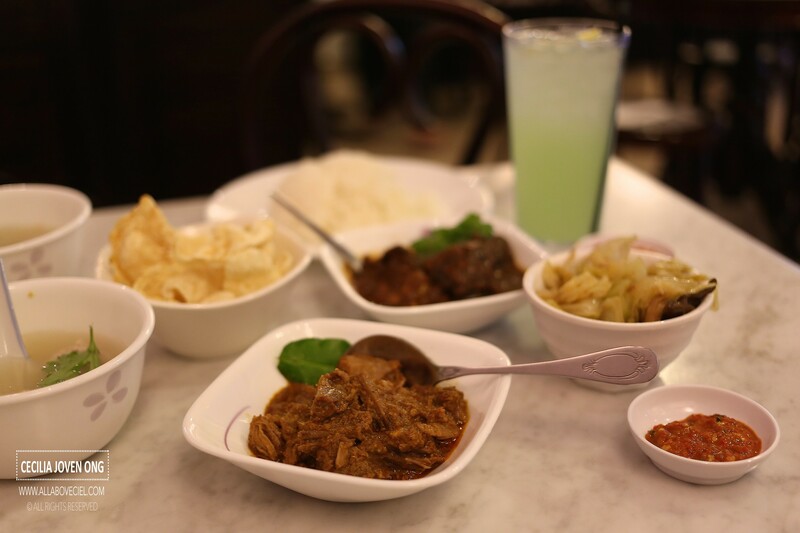 We decided to have Babi Buah Keluak and Beef Rendang for $14.80 per set that featured as part of their set lunch choices, it consists of Nonya Chap Chye and Bakwan Kepiting Soup with rice, also Emping Belinjau with Sambal Belachan. 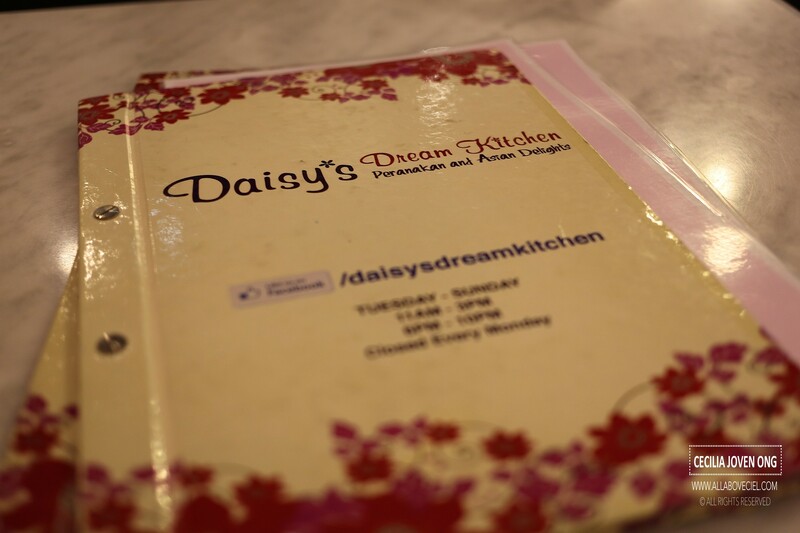 Daisy took our orders and when we could not decide whether to have desserts or not, she suggested we could decide later and they would adjust the orders at their end. For the $14.80 set, you could also choose Sambal Stuffed Fried Fish. There are also the Assam Chicken set at $13.80, the Kong Bak set and Babi Pongteh set at $11.80 as well as Ngor Hiang set and Chicken Wing set at $9.80. You could add $1 to include either a canned drink or their lime juice and add $3 for a canned drink or lime juice with their dessert. 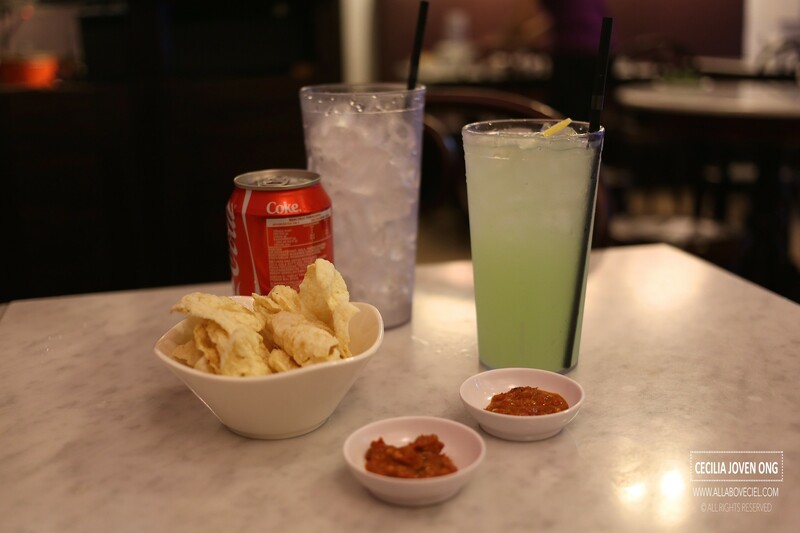 Our drinks came together with Emping Belinjau with Sambal Belachan. 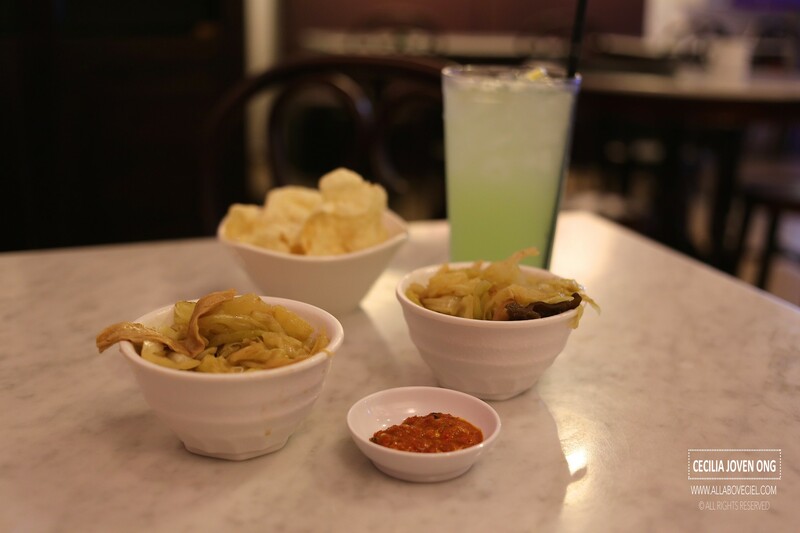 While waiting for the mains to be served, i enjoying myself by munching on those Emping Belinjau, the level of spiciness of the Sambal Belachan is not to be underestimated. I dipped it slightly to coat just a bit of the Sambal Belachan before eat it. 'Shiok' is the most appropriate word to describe such a simple pleasure, something so simple could be so enjoyable. Some of the customers were done with their lunch and leaving. Daisy was asking whether they need to borrow her umbrellas or she could just get someone to shelter them to get their cars in the carpark. A particular customer wanted to borrow the umbrella and could only return next week, Daisy has no issue with it. You do not get much of such heartwarming service anymore, it reminded me of the kampong spirit that we used to talk about during my younger days. I guess such thoughtfulness is what got their customers to keep coming back as they have been around for a few years here. 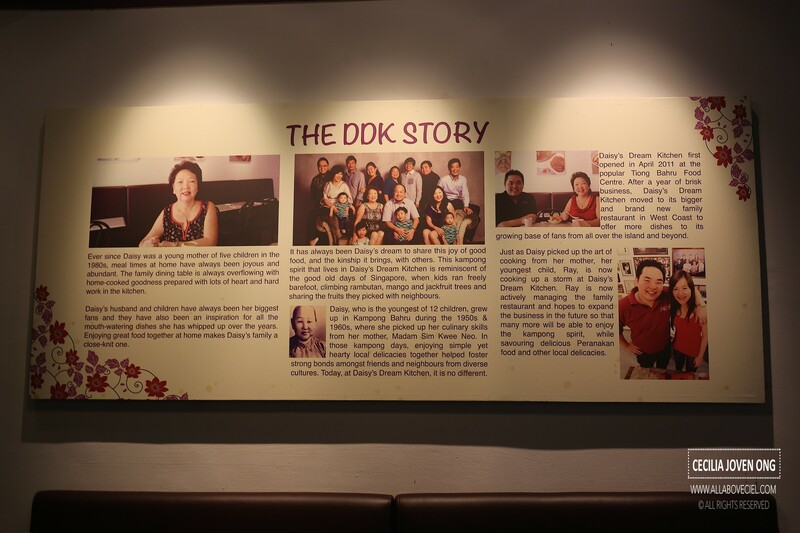 They used to be just a hawker stall at Tiong Bahru Food Centre before moving to the current location in 2011. Our bowls of Nonya Chap Chye came next. The cabbage was nicely braised to give it the desired texture, it was not overly soft nor too hard but just right to still have a delightful chewiness. They braised it with other ingredients like dried bean curd strips, black fungus and grass noodle. This was easily one of the better Nonya Chap Chye that i have ever eaten. Subsequently, the rest of the dishes came at about the same time. 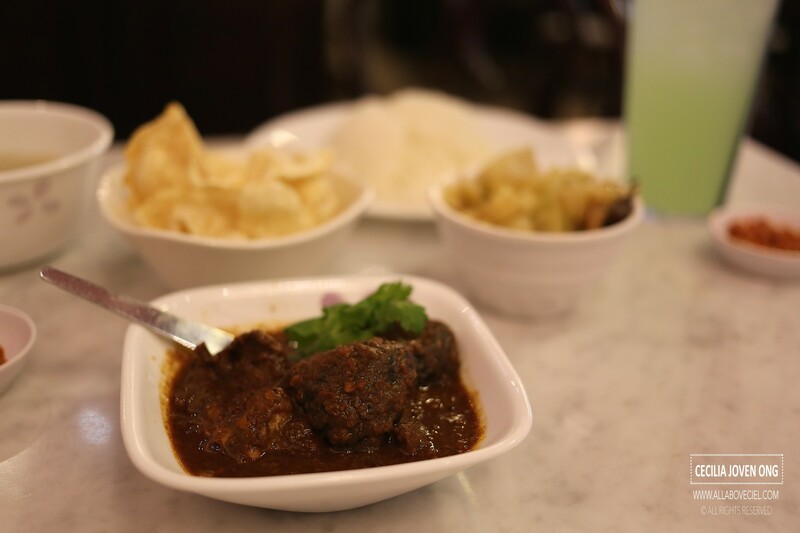 The Beef Rendang did not taste like those available at the Nasi Padang stalls but more like a fusion of Chinese and Malay cultures. 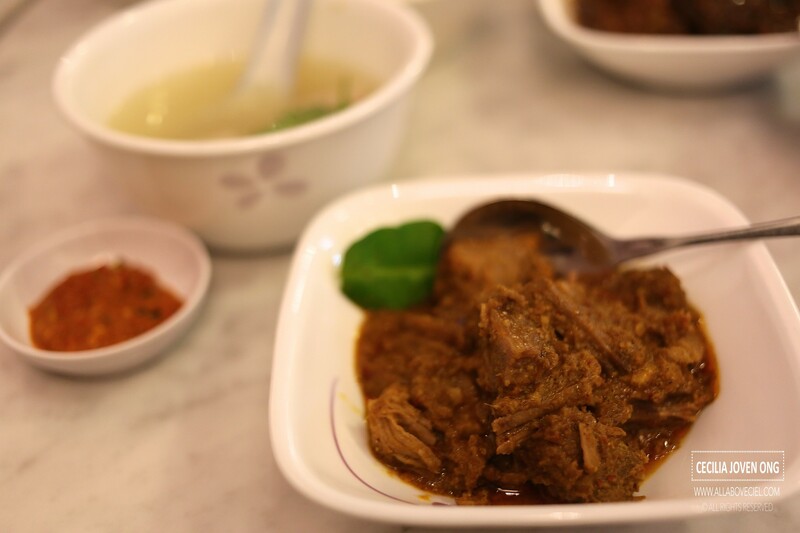 The 'rempah' (paste) was robust in flavors with a slight hint of spiciness but the texture of the beef was not as soft as i liked it to be. 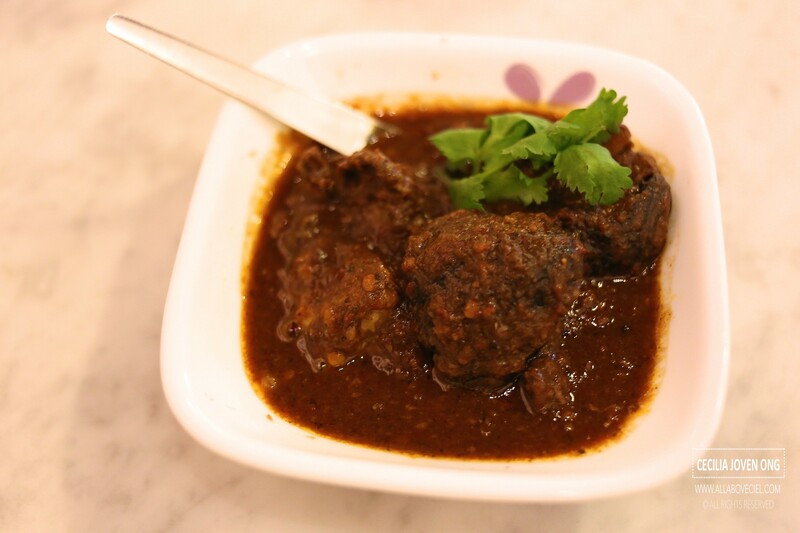 Babi Buah Keluak is a traditional Nonya dish cooking with Buah Keluak, which is an Indonesian Black Nut, about the size of a golf ball. A slit is made through an opening on the surface of the nut across its flattest part to scrap out the content. Then, to wash and scrub thoroughly until the thin film of the fried mud is gone completely. The content of the nut is to be dugged out then mashed it and stuffed it back again to cook together with the meat. The taste is indescribable, it is quite an experience to actually know how does it tasted like. I think i might have eaten Buah Keluak before but that was quite long ago and i did not quite remember the actual taste. When i tried it this time, i realised i did not like it as much as i thought i would. I dugged out the content from the nut but left it as it is after tasted it slightly, it has a slight bitter taste which i could not quite associate with. The texture of the pork was cooked just right. Bakwan Kepiting Soup was pure comforting. 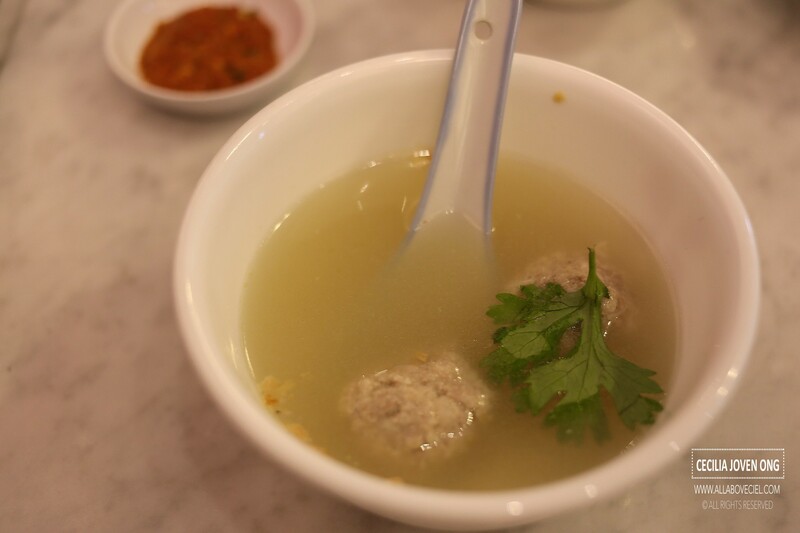 These succulent meatballs has a combination of pork, crab meat and crunchy bamboo shoots, it is a homely but laborious Peranakan dishes that they usually cook during the special occasions. The crabs have to be steamed first then extracted out the meat to mix with the meat paste to make meatballs. The soup has a distinct sweetness that we enjoyed. This is the dish that left an impression even though was one of the meatballs contain a small piece of shell. 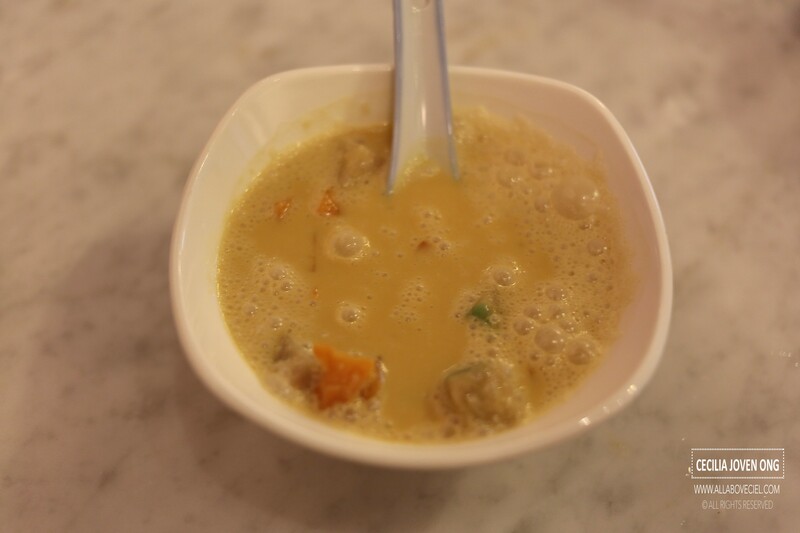 I was given 3 choices and i wanted Bubur Cha Cha out of it, it is the Peranakan style colorful sweet soup. It has an intense coconut milk taste and intensely flavored using the palm sugar with ingredients like chunky pieces of diced sweet potato and yam with the sagu gunting, those colorful jelly-like morsels that made from either tapioca flour or sago flour. It was a memorable dining experience and i would definitely be back. By the way, they do charge service charge but not GST.